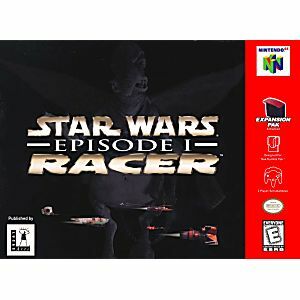 Star Wars Episode I Racer Nintendo 64 Game cartridge Cleaned Tested and Guaranteed to Work! Imagine Ben Hur in a galaxy far, far away. Replace the two-wheeled carriage with a futuristic, hovering pod - now take away the horses and strap two giant afterburner-powered engines to the vehicle. The boost of the two fuselages pulls the carriage forward at speeds in excess of 600mph and a stream of pure energy, called a mag beam or coupler, makes sure that the engines don't fly off in opposite directions. Like its "real," up to 40-foot-long counterparts in the movie Racer's pods use a three-point dynamics system that will cause the carriage to realistically drift in the air behind its two engines. Unlike the movie which features 18 opposing racers Episode I Racer stars more than 21 characters complete with their rides, including three pods based on original design concepts that weren't used in the final film. 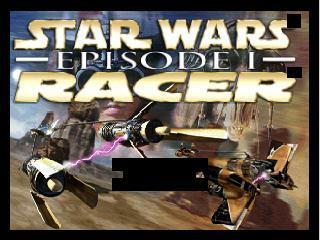 Had ordered a few items and one of them was Star Wars Episode 1 Racer. I enjoyed the game when I was young and was disappointed by the quality I received. It was dirty, sticky had some water damage and this most likely explains all the rust from the metal parts. First time I have had poor quality items. Great game, worked perfectly on the first try! This game doesn't disappoint, and the price couldn't be better. Just buy it - it's a fun racing game. Got it with Lukie points and free shipping and it arrived within 7 days. Worked great out of the box! Thanks Lukie Games! I like the interesting tracks, however, you need to be very quick the make all the sharp turns. this game cartridge is by far the glitches I have received from luckie games but maybe not all cartridge were kept in good shape by previous owners, anyways game still works. Overall fairly easy racing game compare to others. 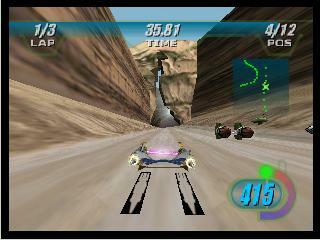 The added difficulties is that the racers are really fast and can crash and loose first place quickly. Although that is the fun of it I think, trying to catch up at top speeds and not crash. great game for the price. It starts off fairly easy but increases in difficulty substantially. overall an enjoyable high speed racing game. Great game! Fast racing in superb environment. You can upgrade your ride a lot of fun and a lot of contents. If you love Starwars it's a must. It was here within 24hrs it was a excellent service. Great racing game! always fun. Have you seen my chance cube? Oh Watto, why do you treat your customers this way. I'm assuming everyone has played this game, it was relatively popular and now costs like $5 to buy. 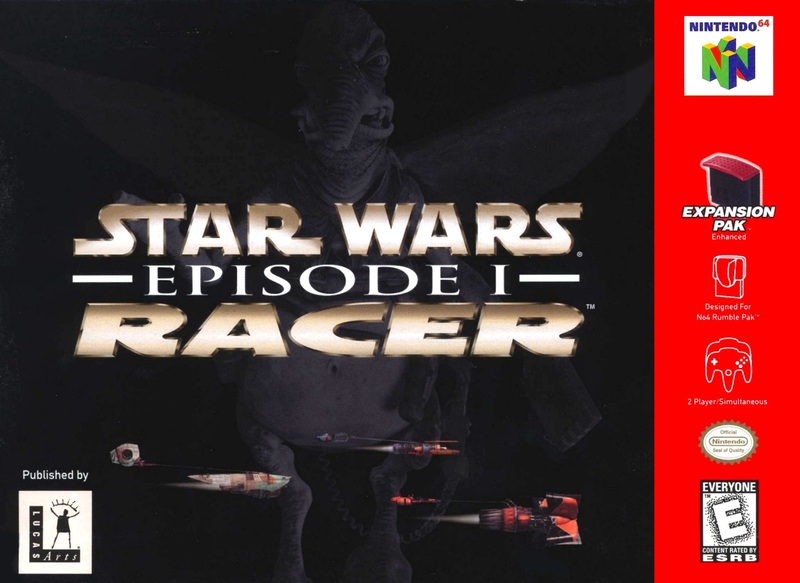 All you gotta do is race, upgrade and enjoy the Star Wars music and scenery!